Following the success of September’s widely acclaimed 2014 Concours of Elegance at Hampton Court Palace, Thorough Events – the organisers of the award-winning annual Concours of Elegance – can now confirm the prestigious Royal venue and dates for its 2015 Concours event. With the gracious permission of Her Majesty The Queen, the 2015 Concours of Elegance will be held at the Royal Palace of Holyroodhouse in Edinburgh, Scotland, from 4-6 September, with an exclusive driving tour of Scotland for Concours participants due to run ahead of the Scottish event from 2-3 September. Set against the backdrop of Arthur’s Seat, the Palace of Holyroodhouse is a truly exceptional venue, standing at the end of Edinburgh’s world-famous Royal Mile, and being Her Majesty The Queen’s official residence in Scotland. With Her Majesty The Queen’s gracious permission to use the Palace of Holyroodhouse – a first for an automotive concours event – the annual Concours of Elegance remains totally unique in being the only automotive event in the UK to enjoy an authentic and spectacular Royal Palace as its backdrop, with keen Royal motoring enthusiast HRH Prince Michael of Kent as the event’s Patron. As with the previous Concours events, 60 of the rarest cars from around the world – many of them never seen before in this country – are set to grace the spectacular grounds of Edinburgh’s Palace of Holyroodhouse. These 60 cars will be joined by displays of hundreds of other fine motor cars from the most prestigious automobile manufacturers and car clubs in the UK, the latter competing for the highly sought-after Club Trophy. In addition to its unique Royal Palace location, the annual Concours of Elegance differs in other ways from a traditional concours, which usually includes a judging panel briefed to scrutinise each entry and select a ‘winning’ car. The Concours of Elegance organisers maintain that if a car has been invited to participate in the Concours, it is already a winner, with each vehicle owner voting on the other Concours car that he or she considers to be the most elegant car in the event. Immediately ahead of the 2015 Concours of Elegance – from 2-3 September 2015 – an exclusive driving tour of Scotland will be offered to entrants who wish to participate, culminating at the stunning Palace of Holyroodhouse, including a drive along the world-renowned Royal Mile. A key objective of the annual Concours of Elegance is to be a highly successful fundraising initiative, with a number of charities set to benefit from next year’s Holyroodhouse event, set to be announced over the coming months. 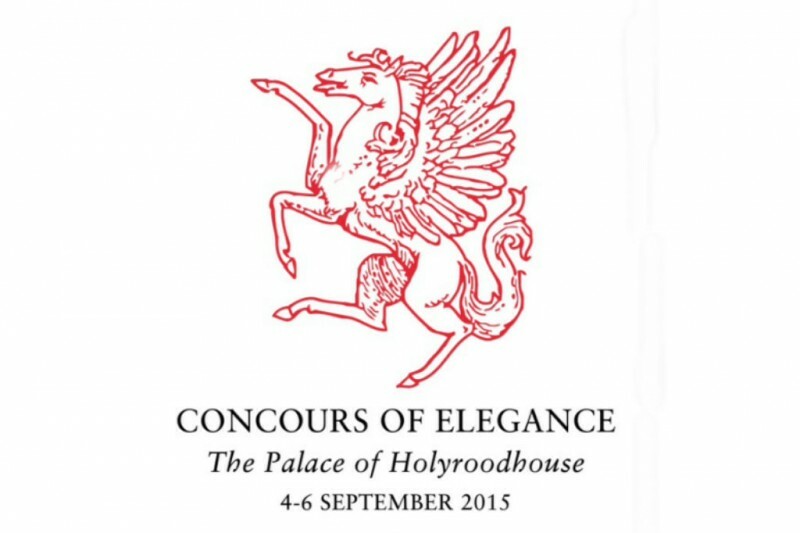 The 2015 Concours of Elegance at the Palace of Holyroodhouse will be open to the public on Saturday 5 September and Sunday 6 September, with entry tickets and hospitality available to purchase strictly in advance. Advance tickets will be available to purchase shortly at the Concours of Elegance website.